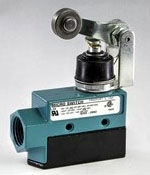 Snap Action switches are switch devices that can open and/or close an electrical circuit at a rapid speed. They take very little pressure or force to operate. Usually these switches are triggered by an external force, either human or by physical object, applied to the actuator.